Capalbio, like all the Maremma, is a territory that has known prehistoric, Etruscan and Roman presences, which have left historical artistic evidence still present. All this before the countless medieval settlements. The Maremma was a difficult land, a large part of the territory was enclosed in the swamp and infested with malaria; the work was non-existent or seasonal and there were hardships and brigandage. 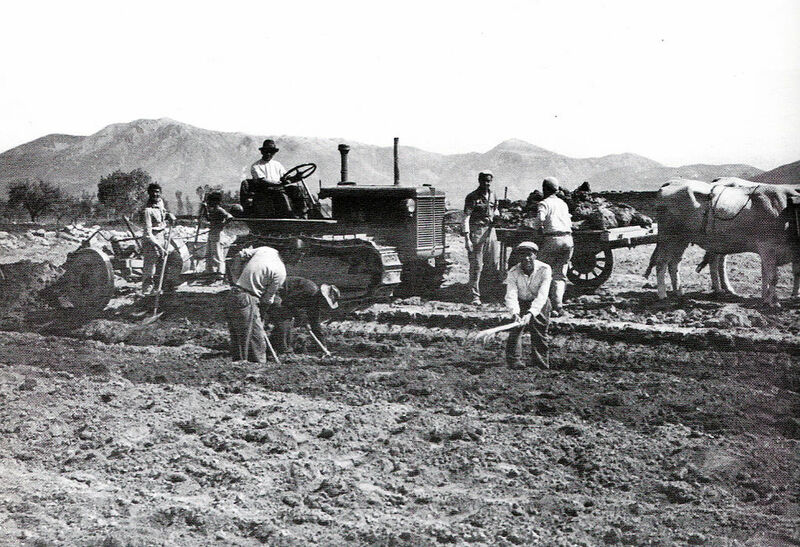 In the mid-nineteenth century the land reclamation work began to make it accessible to agricultural production. Thanks to the reclamation, malaria was won and many people reached the Maremma looking for a job. Thus in 1941 the brothers Rosilio and Virgilio Baglioni, together with many other companions, left Pitigliano in search of a job. They found it in Capalbio in the Mario Magrini company. 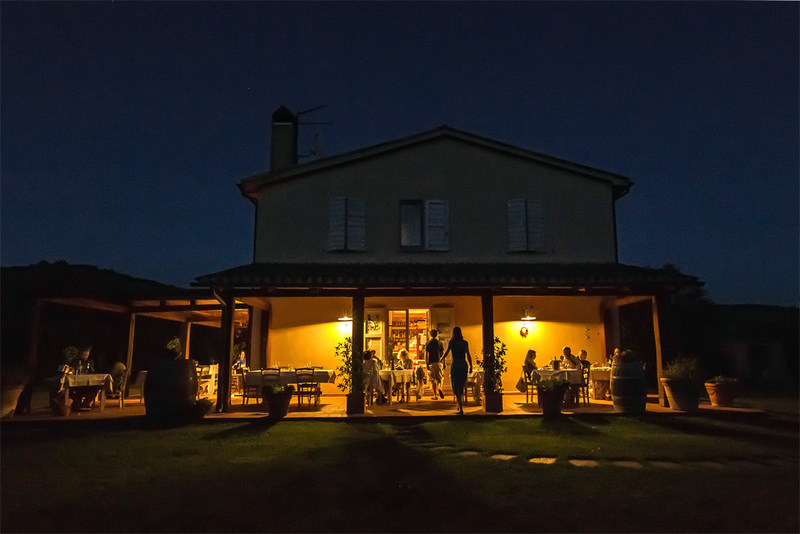 They worked there for ten years until, in 1951, with the agrarian reform and the institution of the Ente Maremma, the life of the peasants changed. After centuries of latifundium the lands were divided and assigned to the thousands of women and men who had contributed to the rehabilitation of the territory and the social reconstruction of the post-war republican Italy, working hard and with passion. So it was that the brothers Virgilio and Rosilio Baglioni became masters of the lands they had worked for years. The large land included vegetable gardens, vineyards, plantation of wheat and forage, pastures of cows, pigs and poultry. 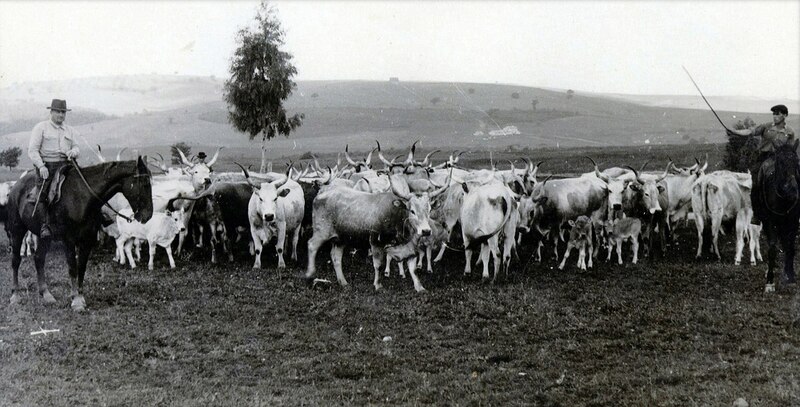 There was no shortage of horses, with which the cows moved and people moved between farms. The brothers and their big families lived in the large rural building that is now in front of the holiday farm; home that housed them since 1941. It was a house big enough to accommodate them all until the children were grown up and began to create their own families. So in 1959, for reasons of space, the brothers decided to split up. 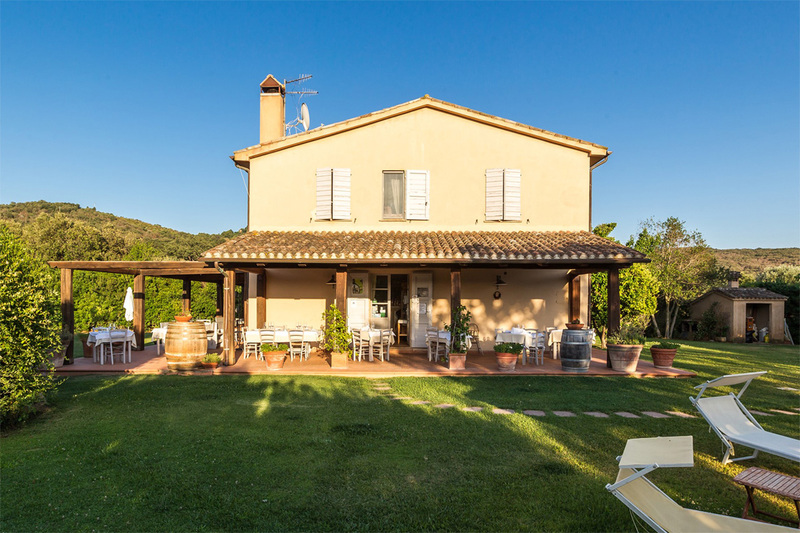 Rosilio remained in the old farmhouse and Virgilio, with their children, built a new house in the ground in front of the old house, called: Podere 69. At the new house they gave the name “Villa Pinciana”. It was a typical farmhouse of the period, on two floors, with the lower part used as a stable and warehouse and the upper part as a dwelling. 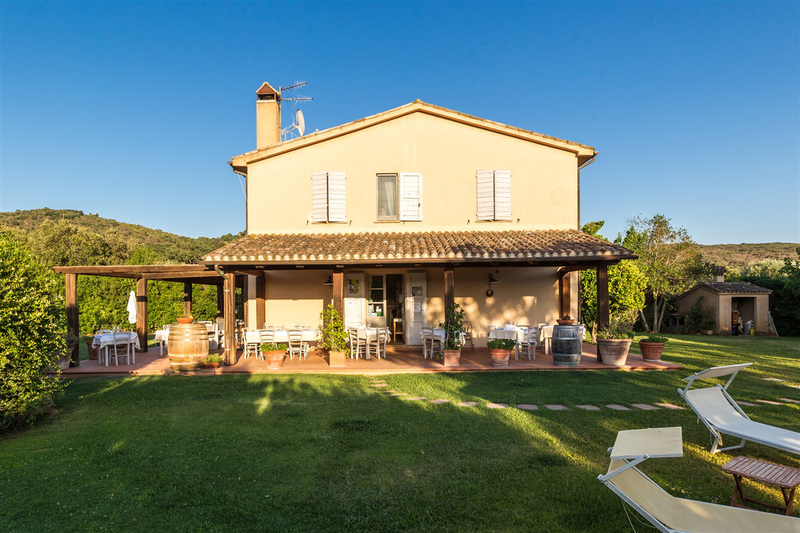 The house had a splendid view that went from the medieval village to the olive trees that, over time, increased giving the property the appearance of being immersed in a green sea driven by the wind breeze. 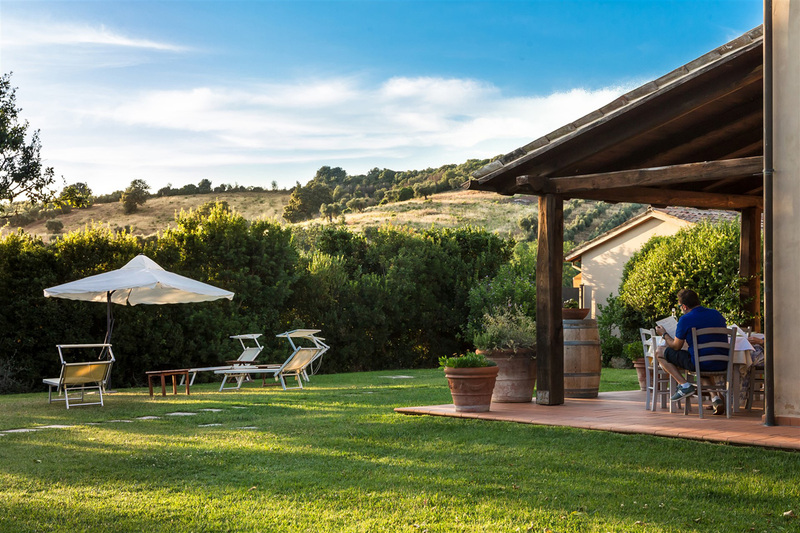 Olive trees, orchards and vineyards became the scene of the life of Vitalino and Sandra, son and daughter-in-law of Virgilio, father and mother of Alessandro who grew up with his brother Rossano with the love for that land. A new generation of Baglioni who chose not to leave their land. 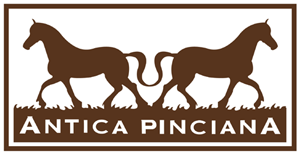 Alessandro with his wife Francesca, decides to keep the family company turning it into an holiday farm and giving it the name of “Agriturismo Antica Pinciana” in honor of their family that had origins in those lands. Under the expert guidance of Vitalino, they modernize the company by expanding the production of vegetables, fruit trees, vinify for the farm and call the first wine of their production “Rossano” in memory of his passed away brother. Thanks to Francesca’s passion, the horses return to the farm and begin the activity of training and breeding of Frisian horses. They open a small stables where guests and horse-riding enthusiasts can take part in courses or train. A new family preserves this corner of paradise that has remained intact over time.